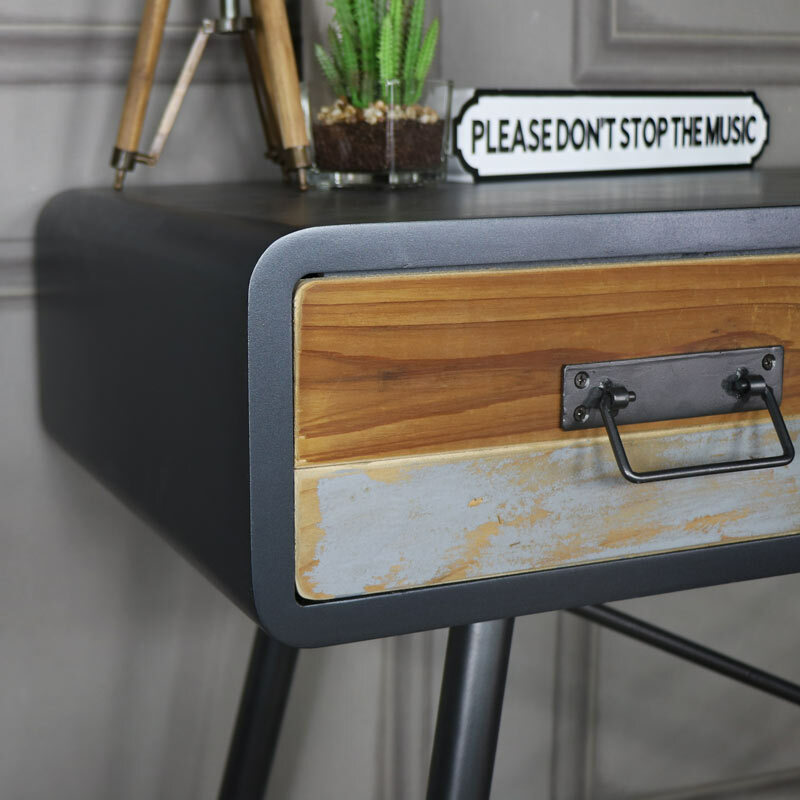 Part of our funky Chicago Range, the 3 drawer console table adds plenty of character and helps to create a unique look in your home. 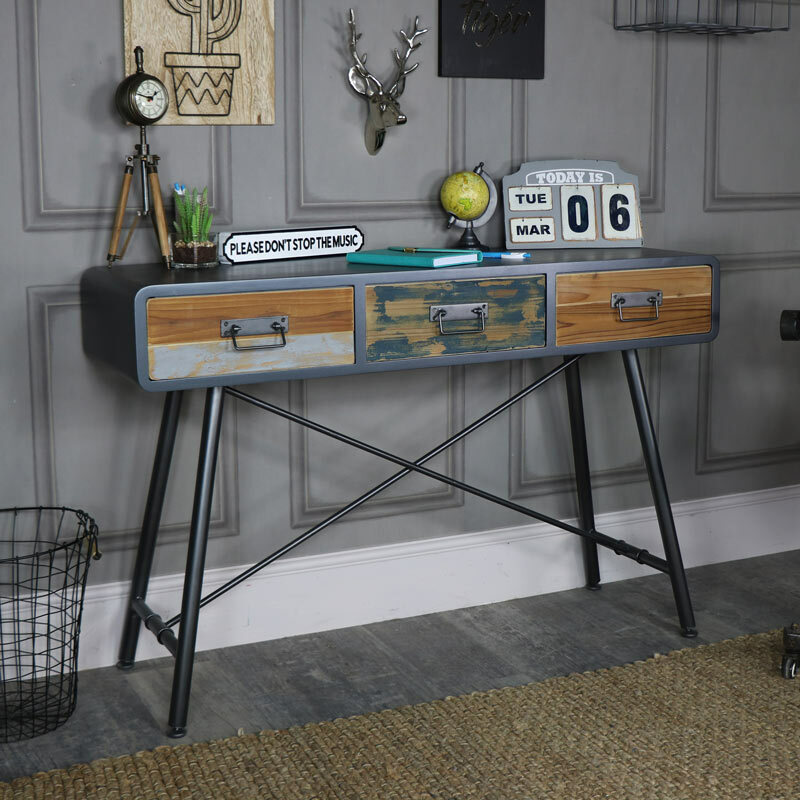 Perfect for use in the hallway, living or bedroom, this console table has great storage with 3 large drawers, great for safely storing all your bits and bobs. 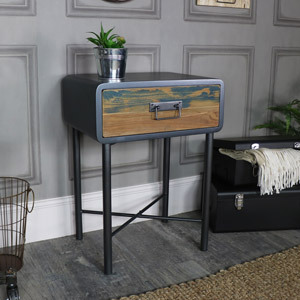 Metal framework in a black painted finish the drawer fronts are made from reclaimed wood with a weathered and distressed stripped paint effect that’s in keeping with the great sense of style that this furniture creates. This console would also look fabulous in the bedroom, the 3 drawers are perfect for storing toiletries, makeup and accessories. 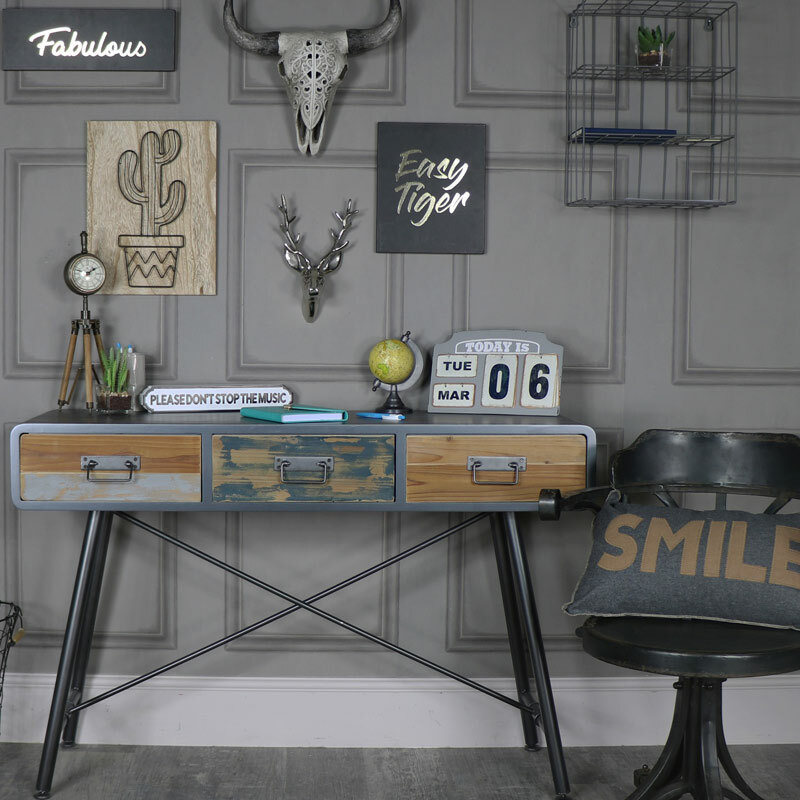 Use as a desk in an office or study to maintain a cool appearance throughout. 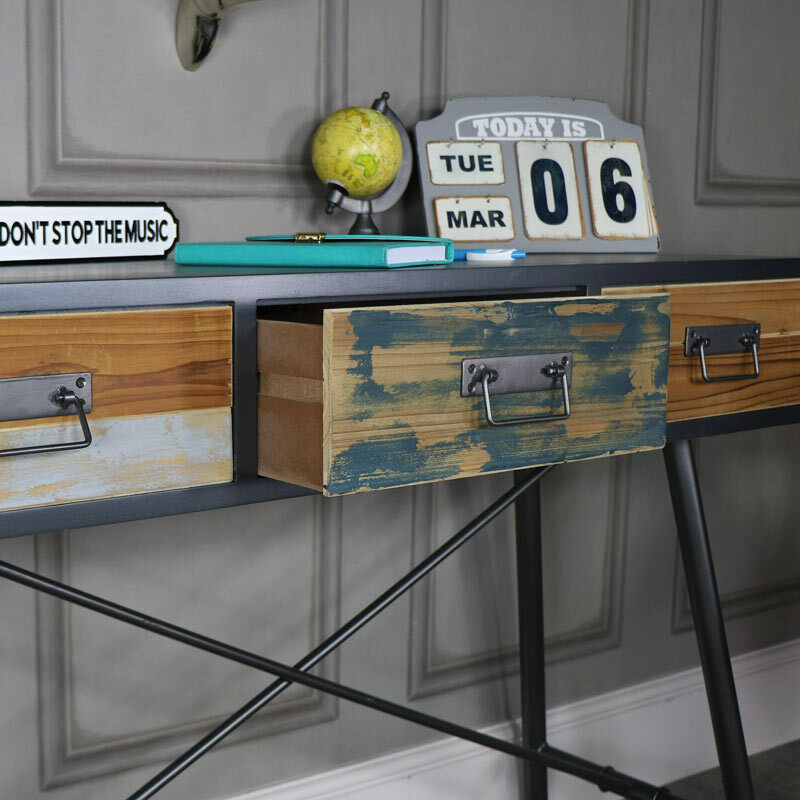 Part of our funky Chicago Range, the 3 drawer console table adds plenty of character and helps to create a unique look in your home. 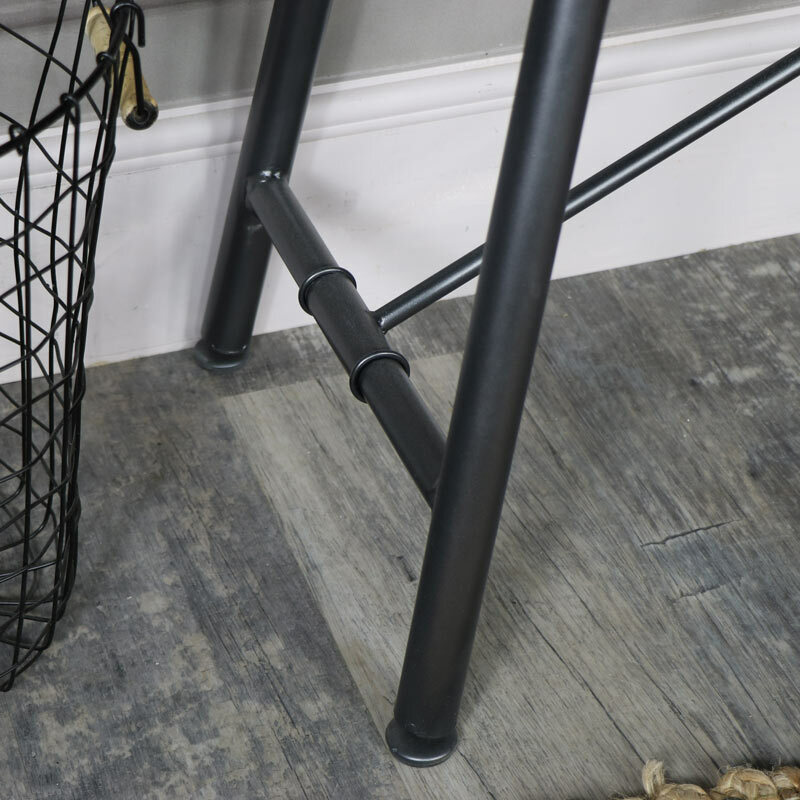 Perfect for use in the hallway, living or bedroom, this console table has great storage with 3 large drawers, great for safely storing all your bits and bobs. 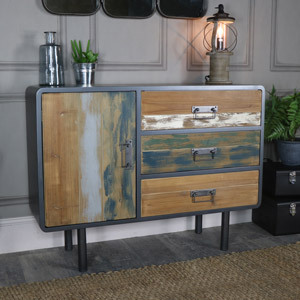 Metal framework in a black painted finish the drawer fronts are made from reclaimed wood with a weathered and distressed stripped paint effect that’s in keeping with the great sense of style that this furniture creates. This console would also look fabulous in the bedroom, the 3 drawers are perfect for storing toiletries, makeup and accessories. Use as a desk in an office or study to maintain a cool appearance throughout. This console table does require some assembly with the legs to attach to the table top and the cross section for extra stability. The overall measurements of the console table are 120cm x 80cm x 40cm (width x height x depth) with the drawers each measuring 34.5cm x 11.5cm x 28.5cm (width x height x depth).